–How can I improve my squat to get lower? Improving your dorsiflexion will allow you to get deeper into your squats without shifting your weight to your toes. –Why can’t I keep my heels on the ground when I perform a lunge or squat? 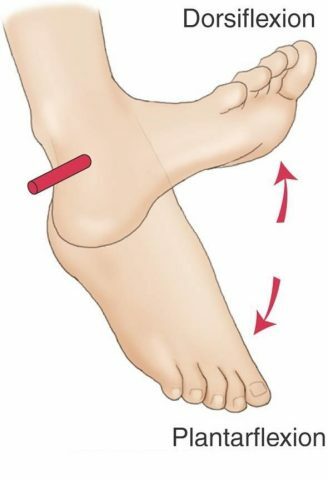 Without adequate dorsiflexion in your ankles, once you reach a certain depth you will not be able to get further without your weight shifting from your heels to your toes. –What can happen if I don’t improve my dorsiflexion mobility/flexibility? Your performance will suffer, and you will have a greater risk of pain and/or injury. –Why can’t I get to 90 degrees on my squat? If your hip flexors are tight, your hips will not be able to get close enough to your chest. –Why do I have pain in my inner thigh when performing a low lateral shuffle? Having tight hip abductors/adductors will make it difficult to achieve a low lateral shuffle position which can lead to pain in the inner thigh area. –What can happen if I don’t improve my mobility/flexibility in my hips? Just like in the ankles, without proper mobility/flexibility your performance will suffer, and your risk of pain and/or injury will increase.